Light + Love : Happy for Ces. Remember about that awesome dinner at Ces' lovely home (and kitchen by Miele) I blogged about last November? 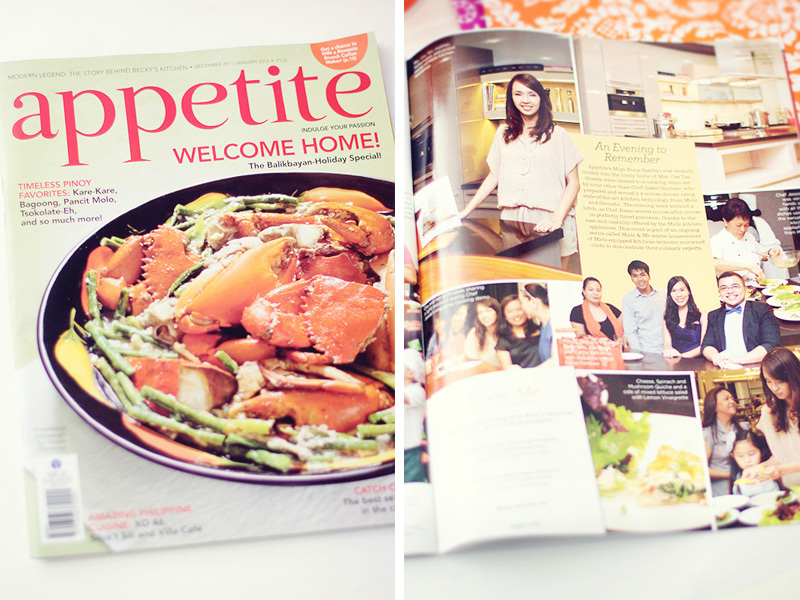 The feature came out on this month's Appetite Magazine. I am so happy for Ces and extremely proud of her. She absolutely deserve this. I know how much hard work she put into decorating her home. Every appliance and furniture has been well thought out. She even traveled to Cebu to personally choose her Kenneth Cobonpue furnitures. Her kitchen is incredibly lovely and huge, it is a template of every person's dream kitchen! Chef Jessie prepared the most delicious dishes. Everyone was so fabulous and wonderful. Ah yes, I will always remember that night.